RichardTremont I am re-activating that this deal works as described. Simply enter code during the checkout process to apply this discount. There may be Some exclusions that apply to this deal. 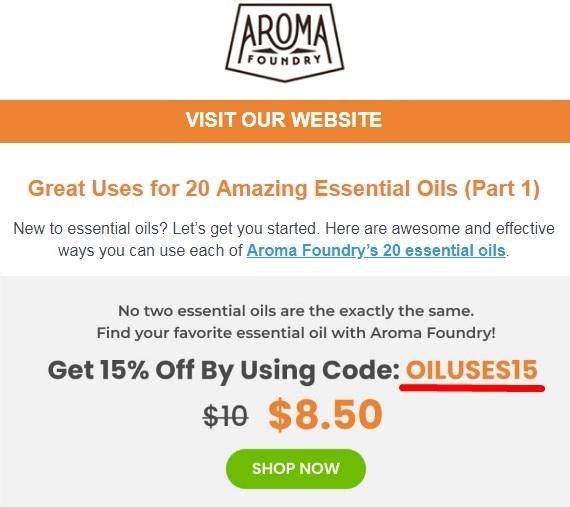 Jesus Brito Just enter the promo code: OILUSES15 during the checkout process to receive this discount. There may be some exclusions that apply to this deal. 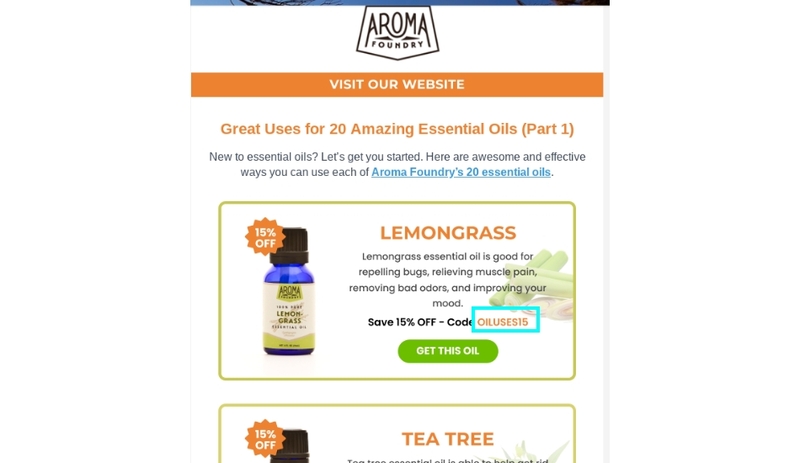 Anna Black Use the code OILUSES15 to Get 15% Off Essential Oils at Aroma Foundry. There may be some exclusions that apply to this deal.